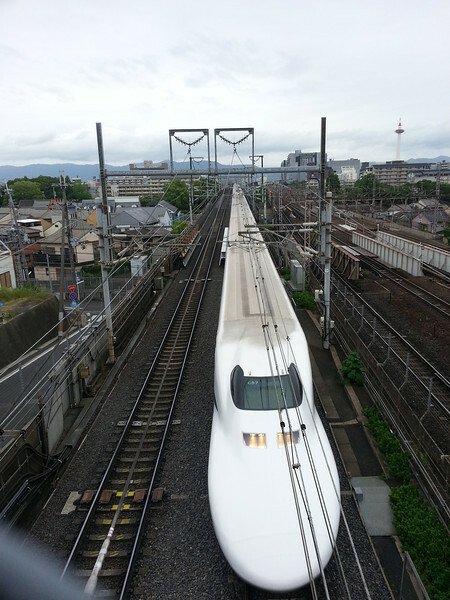 Day 3: Kyoto - here's that Shinkansen passing right below us. In less than 3 hours, it will arrive in Tokyo. The same trip takes 5 1/2 hours by car.